Omnipresent chimney stacks near the sea welcome you to the district of Sant Martí, a reminder of its industrial past. 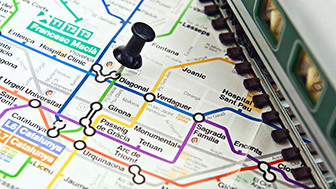 An industry that has given way to innovation and new technologies, turning the district into the driving force of the new Barcelona. 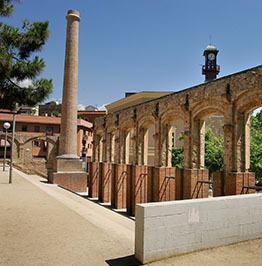 Names like, La Farinera and Ca l’Aranyó, which refer to old factories, give you an idea of what Sant Marti used to be like. The chimneys, some hidden in a trail of clues that are worth discovering, speak of an industrial past that turned these neighbourhoods into the city's factory district. 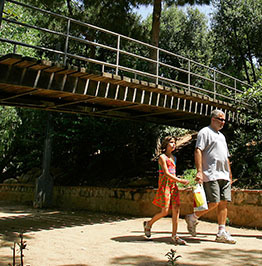 A district that turned its back on the sea for many years but which has now recovered its true Mediterranean essence. 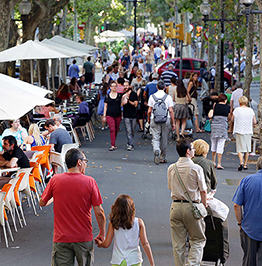 Poblenou and El Clot still preserve a lot of this working-class and revolutionary past, but the neighbourhoods of narrow alleyways and tiny, hidden squares, now open up into big boulevards, wide streets that look towards the sea, reclaiming it for the people. The old factories have given way to human capital, and the Catalan Manchester has become Barcelona's Silicon Valley. Sant Martí is the city's innovation district, with new cutting-edge technology companies reflected in forward-looking buildings designed by the most daring architects. 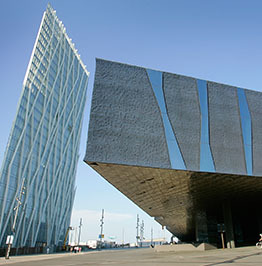 The Torre Agbar, the Fòrum building and Vila Olímpica are all examples of efficiency, sustainability and design. The privilege of having the sea lapping its edges is one of the charms of the new Sant Martí, which extends to the shore and a seafront promenade that leads to the beaches and Port Olímpic. 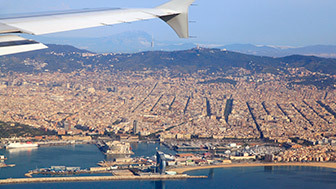 It is a district that has managed to turn itself into the most innovative and cosmopolitan part of Barcelona, without losing the heart of the town it used to be along the way, a district that has fully opened up to the sea. 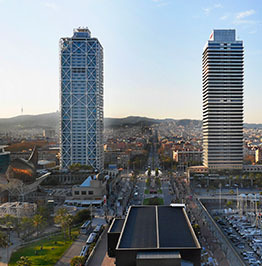 A meeting point for the city's main roads, Plaça de les Glòries Catalanes is also the hub where the most avant-garde architecture in Barcelona is concentrated. A rural community that became an industrial neighbourhood, La Sagrera has been able to preserve the treasures of its past while joining in the cosmopolitan city's dynamism. Open to the sea and with its own beaches, the Vila Olímpica neighbourhood was created as the Olympic Village to provide accommodation for athletes taking part in the 1992 Barcelona Olympics. Today it is a magnificent residential area. 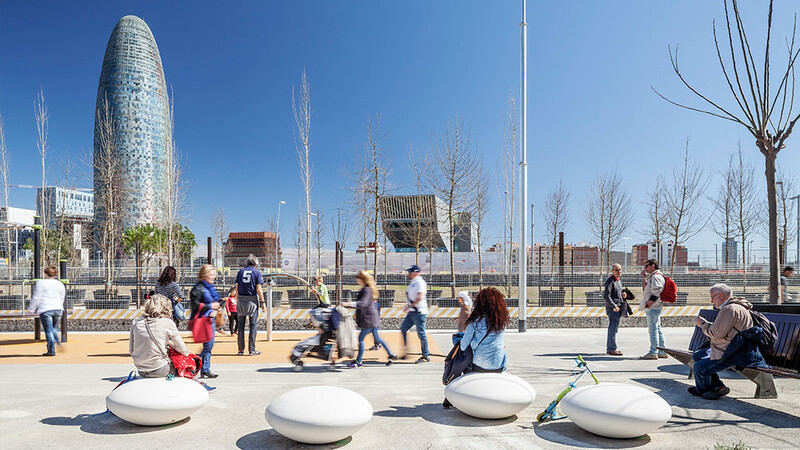 Boasting a history shaped by the industrial era, Poblenou has become one of the city's most cosmopolitan neighbourhoods, where past and future live side by side. 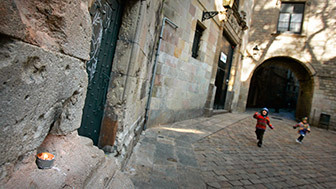 The working-class neighbourhood of El Clot hides some quiet little streets and spots that are the legacy of its past but it also looks forward to the future with several of the city's most modern buildings.